FY 2016-17 is about to over. We are left with only 4 days. Hopefully, you are feeling relax after completing tax saving exercise. Well, how prudently it is done is a debatable topic. However, if you have not yet completed your tax saving exercise and looking for last minute tax saving investment options you are at right place. In this post, I will be sharing 5 best Last minute tax saving investment options. Everyone hate taxes. But the fact is there is no escape from it. Sooner or later you need to do tax planning. The more you delay, the more painful it gets. Let’s take one hypothetical example. Mr.X is particular about tax planning and investment. He starts tax planning with the beginning of every financial year and invest Rs. 50,000 in PPF on very first day of April month. On the other end, Mr.Y is last minute tax planner and he invests Rs.50,000 in PPF in every March. The story continues till 15 years of PPF maturity. At the maturity, Mr.X will get 14.66 Lakh and Mr.Y will get Rs.13.57 Lakh. (Assuming a return of 8% p.a). So, clearly Mr.X efficient tax planner will be a winner. Also Read – How Salaried Person can maximise tax saving? Learning from above example is one should start tax planning at the beginning. Never the less, if you have missed the train this year and not willing to believe on attractive tax saving advertisement and convincing sales pitch of the agents. Here are 5 Best Last minute tax saving investment options. ELSS is one of the best tax saving investment option with shorter lock-in period and 100% tax exemption. The full name of ELSS is equity link saving scheme. ELSS is equity based tax saving mutual funds. The investment in ELSS is very easy. Find out a best suitable ELSS tax saving scheme and invest in the scheme via fund house website or registered mutual fund agent/distributor. Chose the fund wisely look at historical return and rating given by CRISIL. Carry out good research before investing in ELSS. The second last minute tax saving investment option is health insurance. The cost of health expense is growing every day. If you have not purchased appropriate health insurance for you and your family, you should buy health insurance. A premium paid on health insurance is exempted from tax. You can buy health insurance online with a click of a button. However, make sure that health insurance company does not impose a condition of pre-medical check before issuing a policy. Getting health insurance policy before 31st March is mandatory to claim tax benefits. You can get a tax benefit for the premium paid for family member including parents. The third last minute tax saving investment option is PPF. The full form of PPF is public provident fund. PPF is small saving investment scheme backed by the government. The maturity period of PPF is 15 years. If your risk taking capacity is low, you can invest in PPF. The maximum amount that can be invested in PPF per year is 1.5 Lakh. The interest rate applicable on PPF account is declared by government time to time. Tax saver FD is an investment option for the conservative investors. Tax saver FD is offered by a bank. The lock-in period for tax saver FD is 5 years. 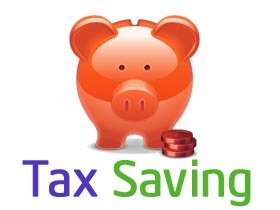 Tax saving FD offers a fixed return. You can invest in tax saver FD online via transferring fund. However, very few banks offer online investment option for tax saving FD. You can get tax benefit up to 1.5 Lakh under 80C for investment in tax saver FD. The last best tax saving investment option is online term plan. It is a financial security offered to your family. If you have not purchased term plan or if you are underinsured, you can buy an online term plan. The premium paid towards term plan is exempted from tax. It is advisable to go for online term plan as it is cheapest. Carry out research before buying a term plan. Advance tax planning and investment always help investor. Tax planning is a continues process and it should be completed well in advance. Avoid last minute tax planning and last minute rush. If you like this post, do share it on facebook and twitter. Don’t forget to post your tax queries in the comment section. I have two flats on my name, For the 1st one home loan is closed and which is self-occupied where I am staying with my spouse and parents. 2nd flat is on rent for which SBI Maxgain home loan is going on. Since last year I am unable to take the tax benefit 2nd flat home loan as much as I wanted because the yearly rent I receive is more than the home-loan interest(even after deducting munciple taxes and std. deductions from rent). Hence my income from house property is coming as +ve. I have parked my surplus money (50% of the outstanding loan amount) in my SBI Maxgain loan account which I have kept as contingency fund, or for any new investments and to also reduces the interest out go from monthly EMI. What options I have to save/avoid tax on rental income in this case?? Can I show the 2nd Flat as Self-Occupied and take the benefit of Home Loan Interest component? and transfer 1st flat on my spouse name (who doesn’t have any other source of income) paying agreement cost, society charges etc.? Please advise what is feasible and beneficial in this case. If you are holding both falt in same city you need to pay tax on rent amount.You can not escape from incometax. Thanks Raviraj for quick response. In case I transfer the rented flat on my spouse name (who can file the ITR for the rental income), Does this help to avoid tax on rent income? Yes, It will save your income tax.However, in order to transfer the flat to your wife you need to do registry on her name. This will be an additional expense to you.